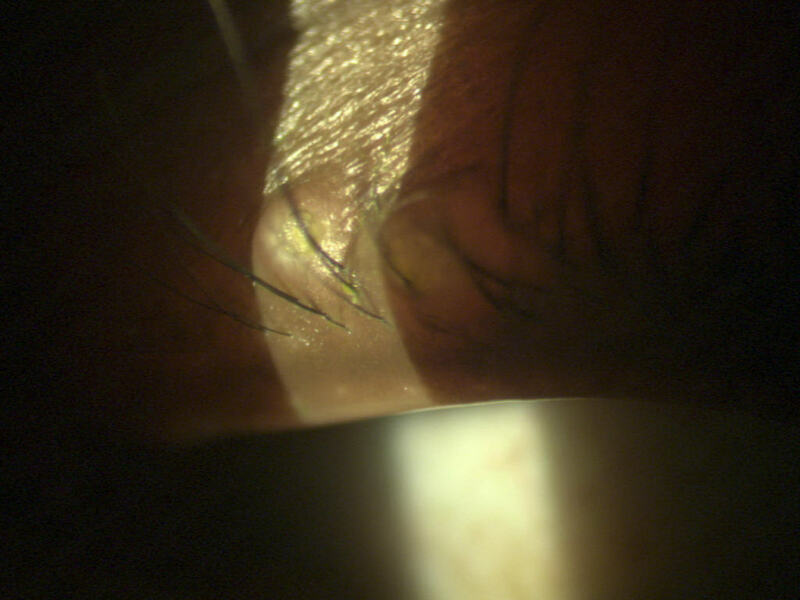 32 year old with with multiple lesions on the lids on both eyes and some on the face. What is the diagnosis? What underlying disease should you rule out? These lesions are flesh-colored, dome-shaped, and pearly in appearance with a dimpled center and are characteristic of Molluscum contagiosum. These are caused by a DNA pox virus . It is spread by direct contact. Usually seen in children. Adults with multiple lesions should be checked for immune deficient conditions.